Wipaq provides a HT-CAT Plus Turnstile for your daunting security issues where there is high traffic inflow and outflow such as hospitals, commercial areas or even train stations and the like. The ht-cat plus is one such solution where space is a limitation. 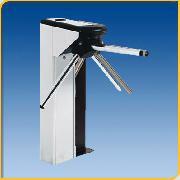 It is compatible with all the latest technologies such as the magnetic card readers and biometric devices. It controls access to others and is quite a reliable equipment to own.